Studies show that bullying can be a serious issue within the medical profession. 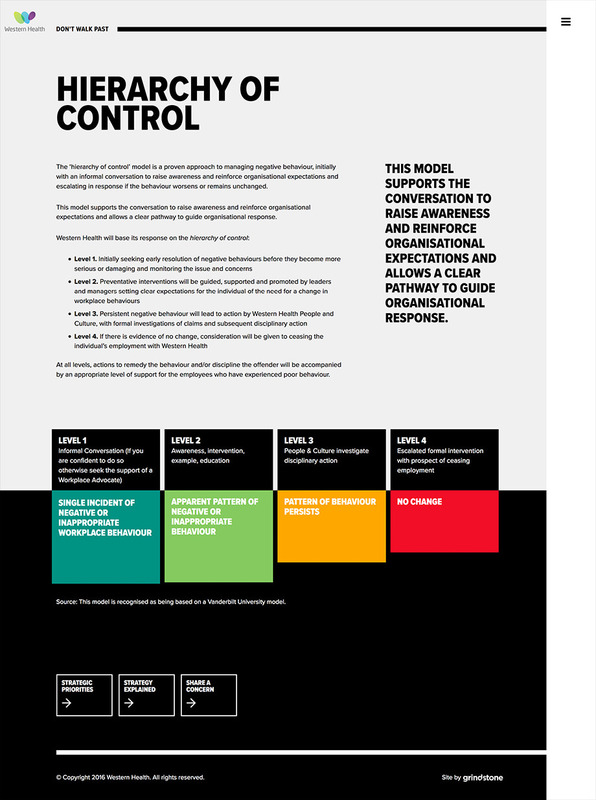 People often don’t report this behaviour allowing a negative workplace culture to form. 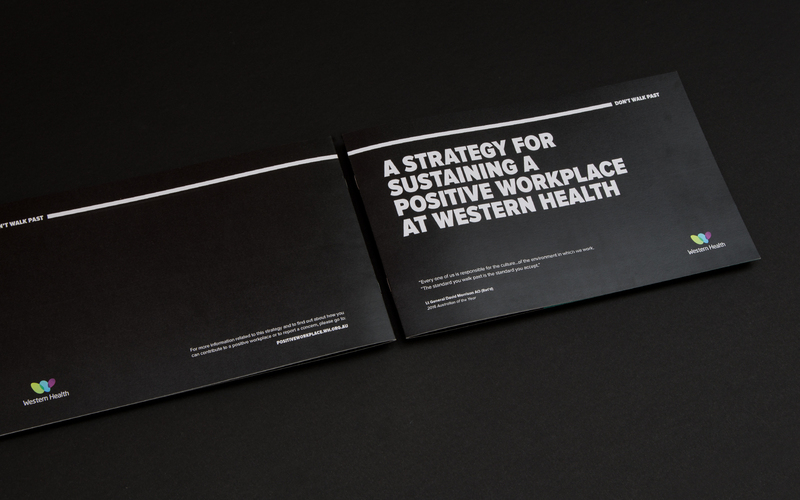 Western Health wants to lead the way in addressing this issue and create a positive and sustainable workplace culture for employees that reinforces a zero tolerance approach to this behaviour. 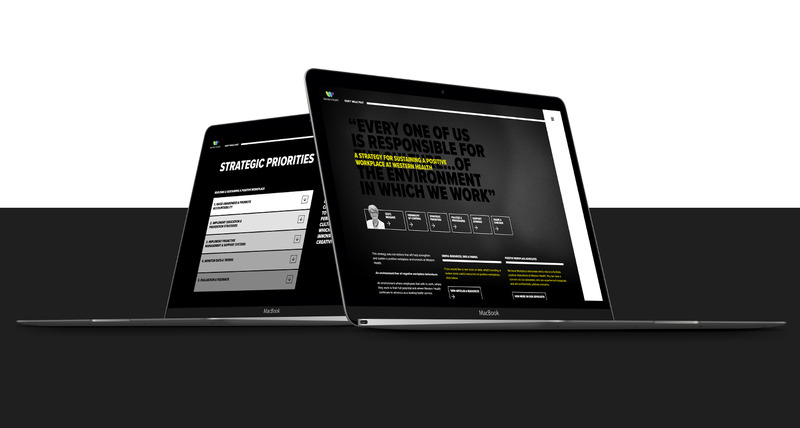 Grindstone developed an overarching campaign identity built on the platform of ‘Don’t Walk Past’ taken from a quote by 2016 Australian of the Year, David Morrison. Mr Morrison was engaged by Western Health to launch the campaign with a talk on his work to address bullying culture in the Australian Defence Forces. 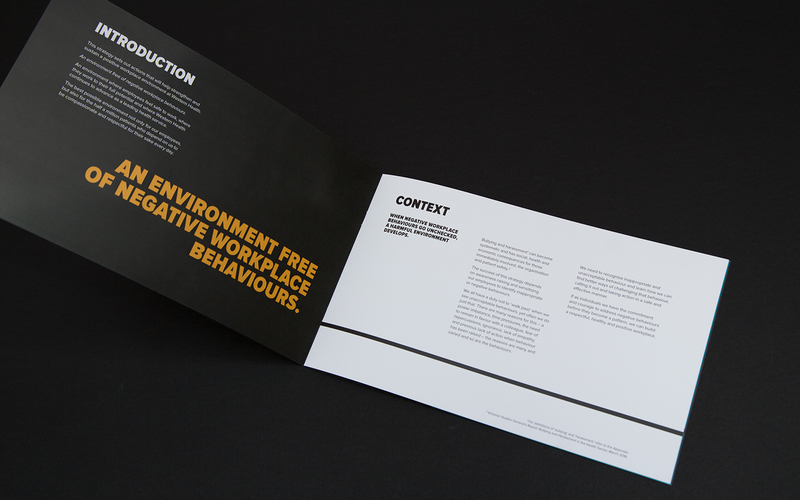 The concept behind ‘Don’t Walk Past’ was a call to commitment, that bullying behaviour would no longer be overlooked or ignored at any level of the organisation. 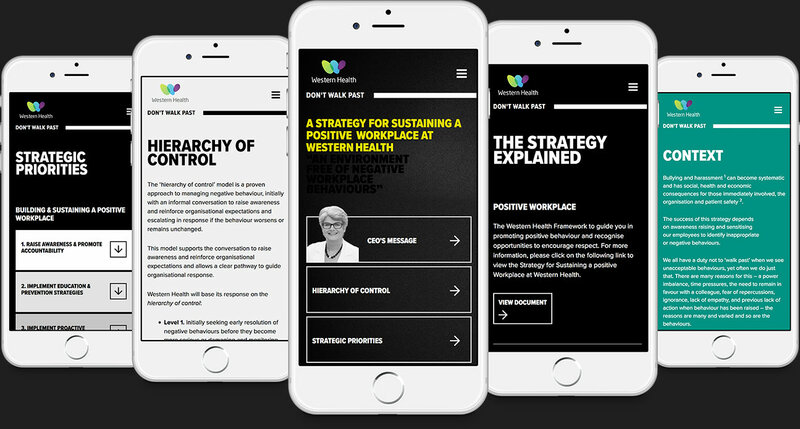 This simple call to action could be activated across a range of communications and collateral, culminating in a microsite supporting the Positive Workplace strategy and Positive Workplace Day. 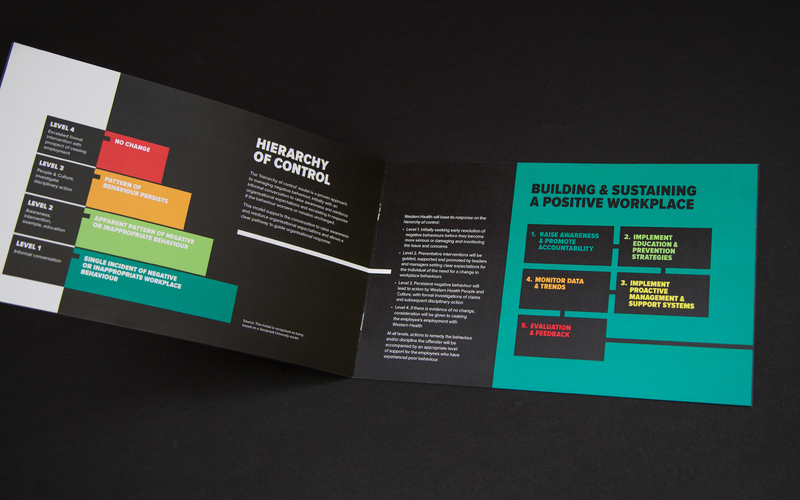 Grindstone developed a suite of communications collateral including posters, event invitation, email templates and a strategy booklet. 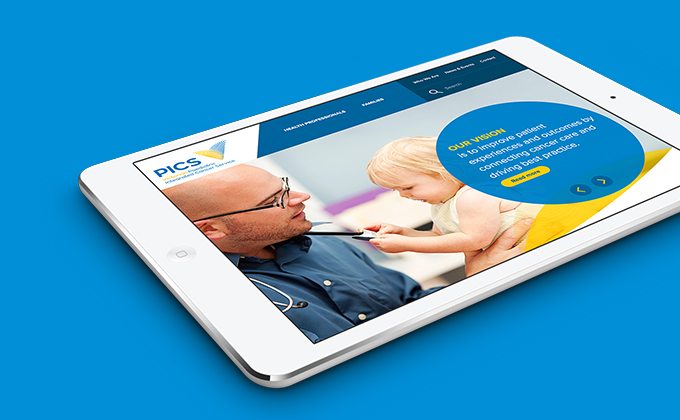 A custom microsite was also developed to allow staff a digital platform for information and to register a concern. 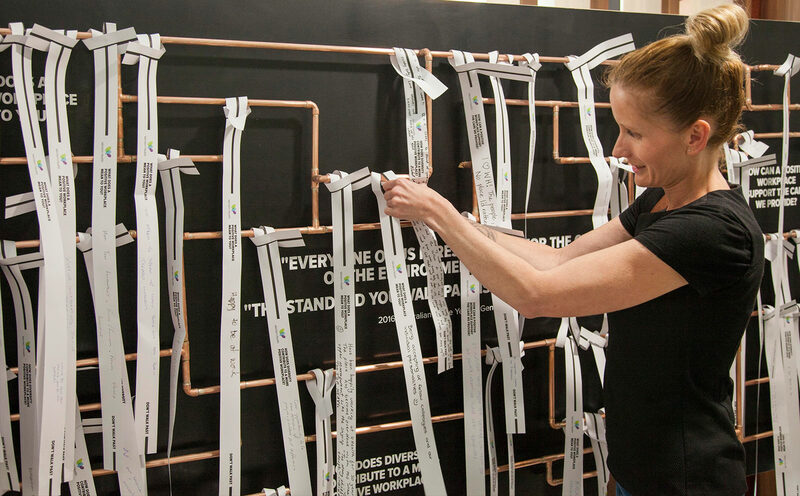 A custom interactive installation was designed and constructed by Grindstone for the campaign’s Positive Workplace Day event. 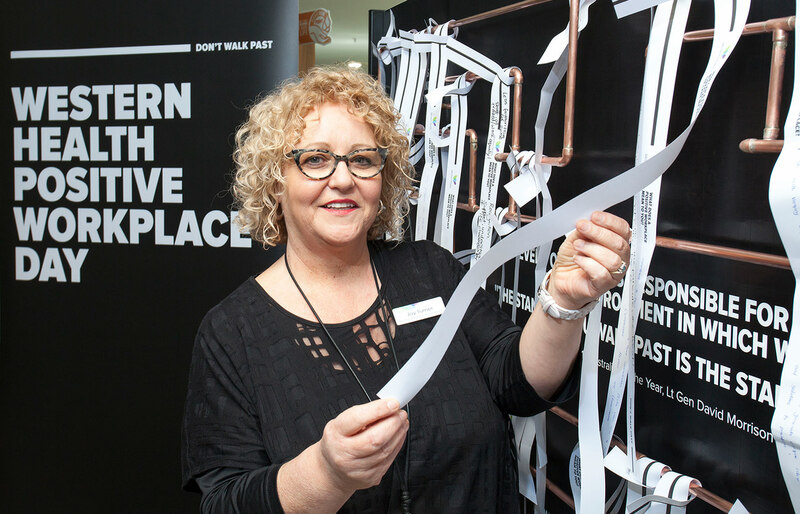 This took the form of a sculptural structure created from interconnected copper piping, where staff could tie paper strips to highlight their commitments and thoughts as to what makes a positive workplace. 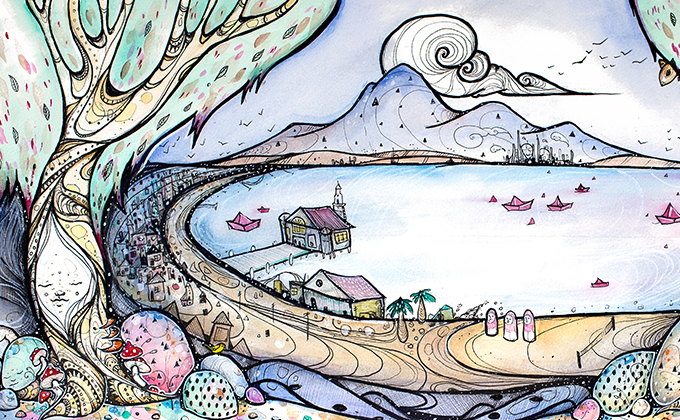 This unique piece generated high engagement from staff on the day, and was a strong bookend to a robust integrated campaign.